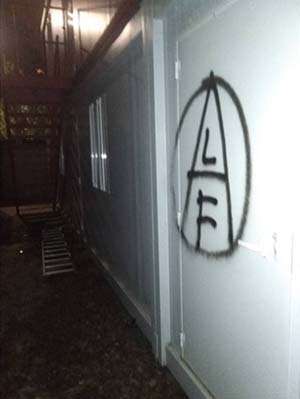 The Animal Liberation Front has claimed responsibility for an arson and sabotage targeting facilities in Iruña/Pamplona that will be used during the festival of San Fermin. 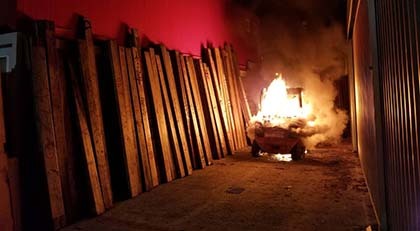 During the night of June 6-7, a forklift was set on fire, anti-bullfighting messages painted and other damage caused inside the 'Corrales del Gas,' enclosures for bulls who will run in the encierro (running of the bulls) and be killed in the bullring during the festival. Earlier in the week, 13 holes used for the placement of fence posts along the route of the bull run were filled with cement. "Every year in the city of Pamplona, ​​under the rusty umbrellas of tradition and festivities, more than 40 bulls are killed. More than 40 animals will face a painful and agonizing end in the streets and bullring of this city. For these animals, the 'Corralillo del Gas' becomes their corridor of death, and the fence becomes their cage: some waiting days for their turn to arrive, they pass from the bad drink of the morning confinement and the painful death of the bullfight in the afternoon, and although the fact of killing these animals seems neither more cruel nor more unnecessary than the exploitation, use and systematized murder of millions of animals around the world for consumption, experimentation, clothing or leisure, we believe it is necessary to take measures to end this cruel act that takes place in the city of Pamplona "
- All kinds of protest and struggle against the suffering we cause to animals. - Liberating animals from their confinement and providing them a decent home. - Recording or obtaining images to expose conditions in which animals are kept. - The boycott of companies and institutions that contribute to the abuse of animals. - The sabotage of companies, institutions, tools and infrastructure that contribute to the use and abuse of animals. All this as long as no animal (human and non-human) suffers any harm. After seeing that legal and civil tools do not have the capacity or potential to change this situation in a radical way, we have decided to take action and try to put an end to it with our own hands and means. - The holes for the fence posts in the San Fermin enclosure. - The fence in the 'corralillos del gas'. - The access points and infrastructure of the 'corralillos del gas'. 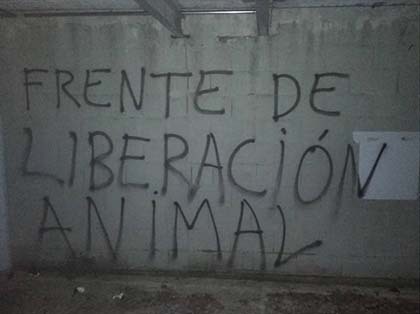 - To sabotage and impede the events that use animals during the San Fermin festival, and if that is not possible, to at least reduce the time available for their preparation. - To cause economic damage to companies and institutions that profit from the use of animals. 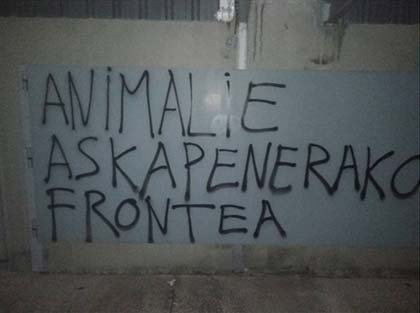 - To give a forceful response through direct action to the situation and the conditions suffered by animals. Against all kinds of oppression, and against all authority. Until the last cage is empty." 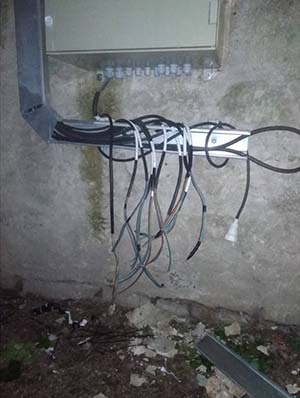 Hasta que la última jaula quede vacía."